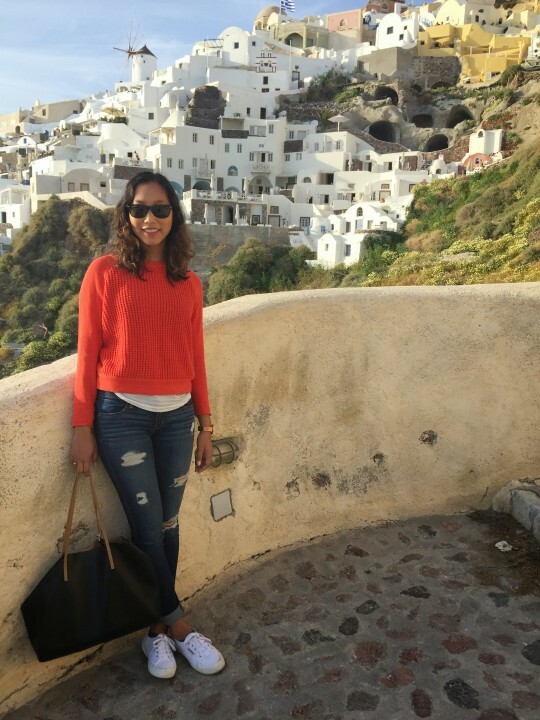 So I went in search of a white lace-up sneaker, something that would look cute with ripped jeans or a dress but also comfortable for lots of walking (esp during traveling!). 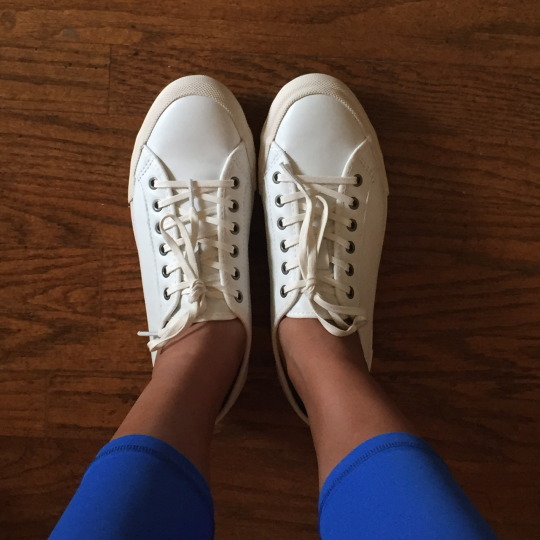 I bought the classic Superga Cotu sneaker from Nordstrom just in time for my recent trip to Turkey and Greece. Unfortunately, the salesperson told me it should “fit snug” in the toe box and I was in pain when I wore them. Ouch. As soon as I got back to the US, I went back to Nordstrom and they happily let me exchange for a bigger size. I wish the story ended there, but after a few wears the inside of the shoe started to rip! 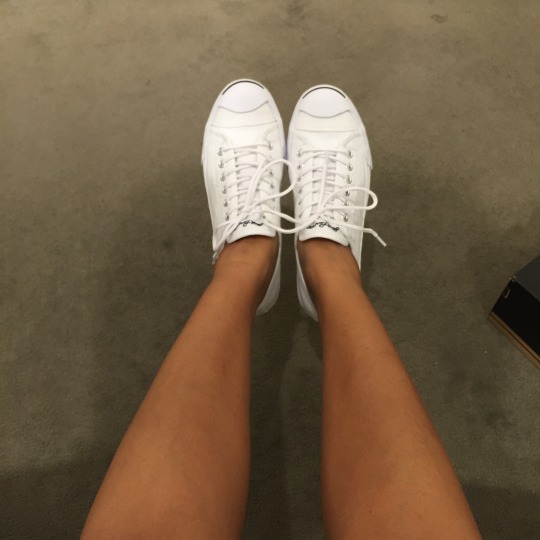 I went back to Nordstrom to return them; they offered to give me another pair but I was so fed up with the Supergas, I declined. While I was there, I tried on the Converse Jack Purcell. They are SO comfortable, but the signature black stripe across the front bothered me. I would be down to get them in another color, where the black stripe is not as distracting. 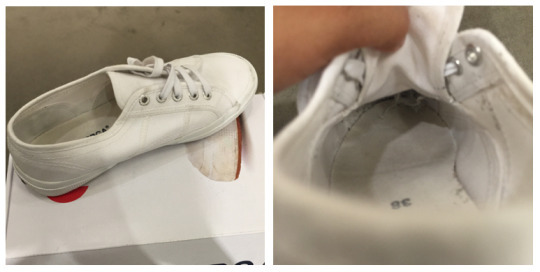 Recently JCrew started selling these SeaVees Monterey sneakers. They are super comfortable and fit true to size. (I bought a 7.5 and don’t plan on putting inserts in them.) Another plus, they’re white leather which I think will be easier to keep clean than white canvas.